This course covers basic life support skills and includes skills for adults, children, and infants as well as healthcare variations on infant CPR. 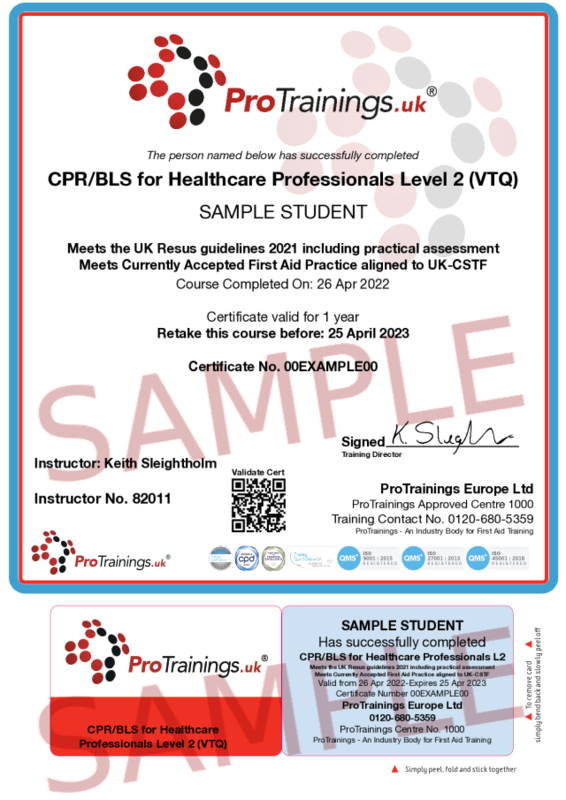 The course includes safety, precautions, initial assessment, recovery position, CPR, compression-only CPR, CPR handover and choking. This course complies with the latest 2015 ERC and UK Resuscitation Council Guidelines and is aimed at Healthcare Professionals with a duty to respond. This course comes with 3.0 hrs (4.0 class) of CPD, although the time to complete the course online may be less than this. Total course time includes 1 hour and 55 minutes of video training as well as knowledge reviews, final test, remedial help and reviewing downloaded material. 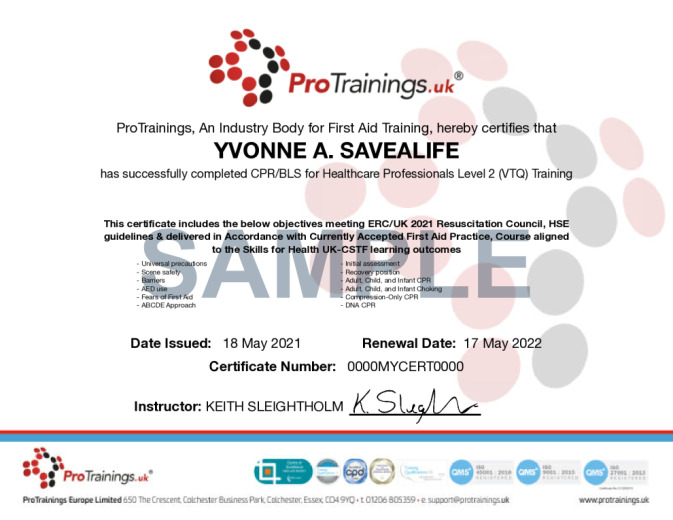 For the contents of our video online course, visit the Basic Life Support for Healthcare Professionals course.